It's Not Serious! : Happy Birthday Mum! 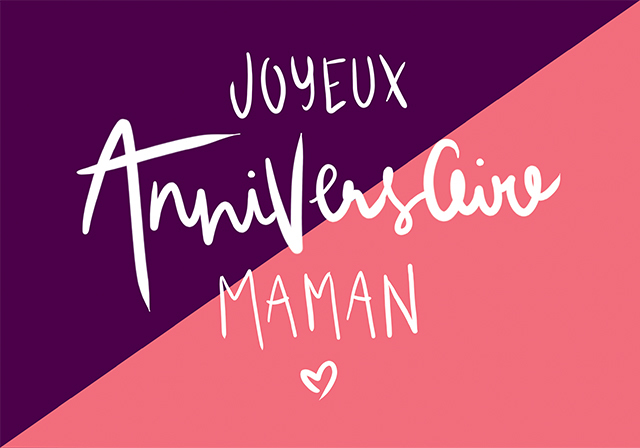 Today is my mum's birthday, and because I wanted to do something a bit special for her, I designed this card and sent it to her secretly so that she would have a nice surprise today. My sister now takes care of any family birthday and it's quite difficult for me to arrange any surprises knowing that I'm on another continent! It gets quite hard sometimes (most of the time) to be far away from my family, especially on a day like this when you feel that you should be celebrating with them in person instead of on the phone. I guess you kind of learn to live with it, and after more than 3 years away, I got more use to it, but it's never easy. I've always been a really independent person and to be honest, I feel like I can't breathe if I'm always surrounded by people or my family. And even if I wouldn't go and see them all the time if I was still living in France, it's the fact that I can't all of sudden think "I really need to see them, I'll go now" that hits me sometimes. Giveaway - Set of Birthday Cards! Giveaway - Free March wallpapers!